We are truly driven by Customer Service & Experience. Our mission statement at Raney's is, "To provide the best customer experience possible by creating connections, sharing passion, and taking pride in the parts and service that we deliver." We strive to make customers happy every day when we walk into Raney's! We will always stand behind our products! We work with the best and most reliable manufacturers in this industry to ensure that our customers receive quality products. We understand that, in the trucking industry, dependability is extremely important and that is what our customers can expect from Raney's. 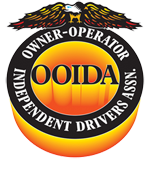 A team of REAL people that have great personalities and a lot of technical experience in the trucking industry. At Raney's, we do not outsource our customer service, and we never will. We support people, not robots. We know how frustrating it is not be able to get a hold of someone at a company. At Raney's, you will never have to worry about that! Guaranteed! Raney's Chrome Convoy Reward System! Get rewarded for shopping with Raney's by earning points that can be used for exciting offers and free products! Check out our Reward system by clicking here! No Restocking Fees & Easy Returns! We are happy to be the only online retailer in our industry that does NOT charge any restocking fees! We are also the only retailer to accept returns past 90 days from date of purchase. Shop with confidence at Raney's! For detailed information about our return policy, click here. If you still need more reasons then give us a call, we are always happy to talk! I'm a first time customer and I have to say I'm very impressed with the company. You guys have been so adamant about making sure I'm 100% satisfied with my experience and you put your customers first. Will be doing more business in the future. Excellent service staff. Answered all my questions with ease. Very easy ordering. I've always liked Raneys and now that they have a chrome shop on my Florida route, they'll be seeing me again! Easy to find what I was looking for. Site very easy to navigate. Raney's always has what I'm looking for. Quick and easy, very happy, had everything I wanted as a reasonable price, glad I found you I will pass you on to others. I've been buying products for my truck from Raney's for years. Good quality. Very nice website. Easy to use and to navigate. It is a pleasure deal with such a professional company and will be buying from them in the future. Customer service over the phone was very helpful in ordering the part I needed. Checkout was quick and easy. The Raney's personnel were so helpful, answered all my questions and were very friendly over the phone. Raney's makes shopping fun. My drivers look for those little items that personalize their trucks, and with the good prices at Raney's we are able to add fun things to their trucks as well as purchase the essentials at great prices. I called all over town before I shopped at Raney’s looking for 7" exhaust clamps. Raney's had them and for an excellent price. Now this time I didn't even waste my time calling around. Will shop here every time first. I prefer Raneys over all. They usually have what Im looking for. Best prices, every one I speak with is courteous and knowledgeable about the products. I enjoy ordering products from Raneys because the price is right and their products are excellent. Ordering on line is very easy, but if I need to call in an order the telephone sales Reps are friendly and very helpful from start to finish. Had to make some changes to my order and the customer service representative was extremely helpful and courteous. Part of the reason I will be purchasing from here again. WOW! the products are good, the prices are great, but the service is even better! when I hit a snag on their website THEY called me to make it right... That's what I call service! I purchase a lot online. This product from this company turned out to be one of the best purchases. It was easy, fast and best of all, the product worked correctly!! Everything I've ordered from the site has been exactly as shown, and of good quality. Ships and arrives in a fast manner. Thanks. Good company to deal with. Fast easy and secure. Anytime I buy accessories for my semi I shop around and end up back where I started ...with Raneys , great experience every time ! Raney's is always so easy to deal with and they have the best products at a good price. You guys rock!!!!! Nice easy to use format. Great prices, and can't wait for the FL location to open! Saweeet! Excellent service and extensive inventory. Very satisfied. I have used Raney's at least 3-4 times in the last year or so and I am nothing but pleased with the customer service and the items we have ordered! I would recommend Raney's to anyone looking for parts. Our shopping experiance was great. Everything is easy to find on the website. Very pleased with prices. Raney's is simply great. Customer service is amazing and all products so far have been very good quality. The website is also the easiest I have found in Canada and the USA to navigate and find exactly what you're looking for. Raney's has great customer service and great shipping all my stuff has been on time. There products are high quality and are shipped very well. Will remain a loyal customer and highly recommend them for all your parts needs. It was more than just an item. Bought for a birthday gift and he loved it. The hood ornament was put on the same day we received it. Thank you. Easy to navigate website, fast checkout and great seasonal promos! I have used them at least 3-4 times in the last year or so and I am nothing but pleased with the customer service and the items we have ordered! I would recommend Raney's to anyone looking for parts. I love Raney's! Always the lowest price and best selection for us road warriors. I’m like a kid in the candy store I love this place. Super easy and so many good products. Awesome customer service, which is hard to find these days. 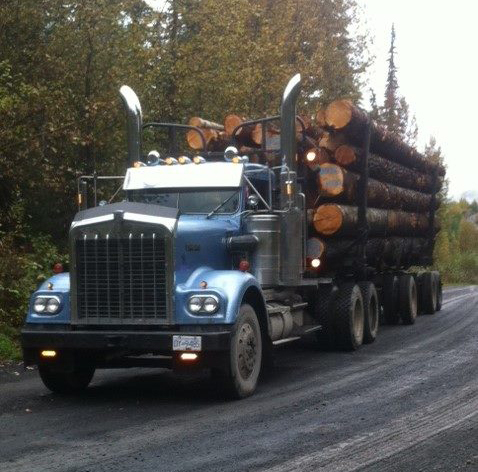 I love all you have to offer for the true hard working truck drivers! Placed my order after confirming my parts were correct with the sales guy I talked with over the phone. Was very courteous, professional, and happy to help. I would definitely do business with Raney's again. My shopping experience was quick and easy and I will definitely be making purchases with you in the future. Thanks. Second buying experience from Raney's. Always come through for me! Thank you! We are always happy with Raney's! Hey guys, first time here. I'm very impressed with the layout of the site, and the amount of products you have available for western star. Thanks! Always great products, always great service - both during AND after the sale!! Highly recommend!! I RECOMMEND RANEYS TO EVERY DRIVER I TALK TO, THEY LOVE MY CHROMED OUT VOLVO 670!! Had a quick easy shopping experience shopping for a seat after the back broke on mine. Thank you for all you're help in finding exactly what i needed. Your search was quick and very easy to use. I did not have to scroll through pages of parts like many other parts websites. Also after reading your "Why shop at Raney's" tab I was very confident in making a purchase and planning on shopping here in the future. Good parts stores are hard to come by in todays day and age. 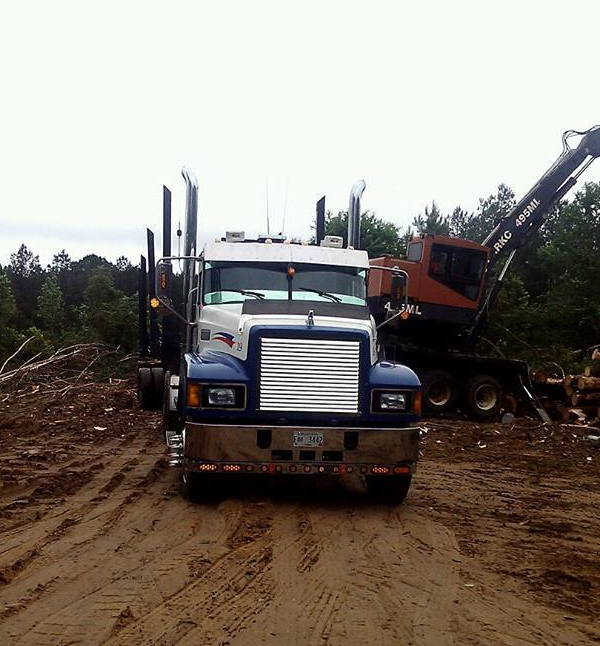 This is the best place to shop for equipment and accessories for your commercial truck. I've never had an issue finding what I needed and if you call with an issue they are more than happy to help out or do whatever it takes to keep the customer happy. Thanks for the great savings on my LED marker lights which cost $80 at the stealership. I picked them up at your company for an astounding price of $17 each. So I bought six of them and saved a ton of money! Great people. Great service. Great parts. Everything a trucker needs. Thanks. I shopped around and decided to give Raneys a try. Checking out with Paypal was a plus. We run 10 trucks, 4 different makes. All the dealerships are close by but dealing with there parts departments usually turns out to be a headache. I'm happy to find parts online on my time. Safe secure checkouts and prompt deliveries. Thanks for all the help. Parts and products have been great. Reward points are great, thank you. I got exactly what I ordered very fast and the Freightliner Classic door handle fit just like the original. I highly recommend Raneys and I'll be back soon! I always shop with Raney's and I will keep shopping with them because they have everything I need for my truck and they have outstanding customer service thanks Raney's. Raney's is so very easy to shop and to deal with. They have an absolutely huge number of items to choose from and anything I've bought is very good quality. Excellent friendly customer support. Always find amazing things for my truck, raneys is made for truckers!!!! I am building a street truck with a semi theme and I just love Raney's so when my best Bud wanted some kool cab lights for his big rig I said let me hook you up. This place is so sweet I've bought twin stacks here and a lot of stuff here and I've got to say Raney's took my truck's look to another level that no one in my town has ever seen. I have had an excellent experience with this company every time I have ordered anything. My entire experience was excellent. Everything I searched for came up right away. I really enjoy the additional options of similar products I may be interested in. What meant the most is the customer service option of paying with Affirm. They are absolutely great. Thank you Raneys! Always great service, very professional, and extremely polite when I have needed to talk to someone at Raney’s. That is just a few of the reasons why I always promote and/or recommend them for parts. Bought several times before. Great products and fast shipping. Will be buying for other trucks I own as well. Always find what I need, Great service. The site was straight forward easy to figure out. They got back to me on one of my questions as soon as someone was in the office. I bought a grill that my husband asked for as a birthday gift. I hope he likes it (he best love it...he picked it). I called and spoke with the most friendliest customer service rep ever. I wish this site was for teachers because I know I'd always be satisfied. I absolutely love and trust the purchases I make from Raneys. Never a problem with shipping or returns. One of my favorite online stores to shop. Great experience, the site and products are outstanding. Thank you for your help. I am a returning customer who is very satisfied with my past purchases. Everything you have online that I ordered is exactly as it is described. Glad I could find reasonable prices for heavy duty truck parts. Quick, easy, overall great experience. The site is great and when the odd question arrises, the online chat solves everything. Thanks you to the staff who mans the chat line. You guys really make the difference. Good site for finding all the cool gadgets for a truck. I recommend this site to anyone looking for cool upgrades to their rig. Awesome! I'm a returning customer for a good reason, you have good prices, and a great easy to use website. It was a pleasure to do business with you!! You have a great variety of all your products..Thank you. I'm satisfied with my shopping experience at Raneys. I bought deer guard for International ProStar and it fits perfectly on my truck. Also, truck seat Legacy gold is something that I had to buy long time ago. I enjoy driving my truck more now. I'll shop here again that's for sure!!! Used your chat service, guy was really knowledgeable and quick. Appreciate the excellent service. Raneys has always been a great place to buy! No hassles whatsoever. Any product that I have ever ordered from Raney's has been quality products at reasonable prices. I will continue to purchase the products I need from Raney's. Great Company!!! Always a good experience. Really quick and easy. You guys got the stuff...Im happy with all your products ..thats why Im reordering again and again. Excellent products and excellent service. The items I have received are a shining example of the quality control and care taken by the employees of the company and I will continue to purchase from Raney's. I Love this place and the prices. You can buy from the rest but Raney's is the best. The bumper was an exact fit. It was easy to install. I would definitely recommend Raney's Truck Parts! Thank you. I will only buy my parts from Raney's due to GREAT customer service, GREAT prices and, Great Quality parts!! Everything I have purchased from you have been PERFECT!! Keep up the good work! Here is my saying... Looking cool aint cheep, looking cheap aint cool!! All because of Raney's. Love Ya. I went to different sites and I could not find the product I was looking for until I found RANEY'S. I love Raney's Truck Parts. Always have want I need for a good price. Easy website to navigate and better prices on parts I needed. Very reliable web site to buy all the nice things to make my truck look good! Returning customer. Awesome customer service as usual. I ordered the wrong item and you guys helped me with return it so I can buy the right one. Very satisfied with this company and will continue to shop here. Very nice and easy web page to navigate. First place I'd go to find any further accessories without a doubt. Easy to locate what I needed. What a great place to work with. They are the best. Very easy to find what I'm looking for and the customer service is beyond that of any business I have ever dealt with. I've been using Raney's as my go to for accessories for my truck. They always help and answer all my questions. Wow. I had no idea Raney's had such a variety of great products. Bought the two deck plates and once they are installed I'll be ordering some new led headlights for the Volvo I drive. Only hard part is deciding which style to go with! Love your guys product, service and price. 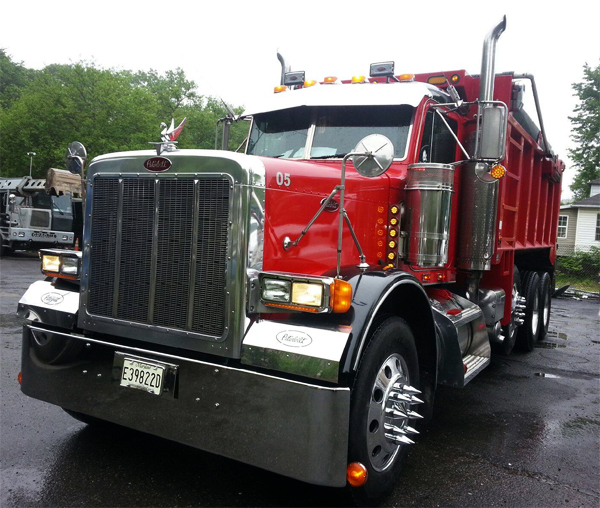 I'm an owner operator just starting out and when I haul my first load in the spring my truck will be dressed up and looking sharp. Excellent! Returning to buy because of the wonderful customer service I received from Rebekah in your warranty department! I'm a customer for life!!! Great service. Hard to come by these days. Keep up the good work. Well Laid out. I was looking around found what I needed in first minutes. Hung out for a few hours browsing. Now my wish list is full. I own a custom feeding cattle company. Looks are generally everything when you feed cattle for other people. Thanks for having products I can use to make my 379 Pete look good. Good prices, fast shipping, our 2 favorite things! I really liked the easy shopping layout... i was able to keep clicking on my make...model.... interior parts. exterior parts etc... very easy to find everything. Great service and products. Most questions are answered quickly. Good prices and deals. Easy to find what I want and easy checkout. I am very pleasesd with Raney's I order from them all the time and my Truck looks very nice and I owe it all to them... I will be ordering a bumper in the very near future... very pleased customer. Great site, easy to navigate. Fair prices. Love the rewards system, I saved $10 using my points! I've been buying products for my rig from you guys for few years now & been happy with products & service. Thanks from "Out Witting The Rest Inc"
Raneys is always the first place I shop when looking for something for my truck. I like that you can shop by the exact model of your truck because I'm buying as a gift for my husband so I was able to ensure I was getting the right thing without asking him. Great experience easy to find anything your looking for. Always easy to find specific items that you need. Shopping made easy, you pick what you need- click and pay. Had just what i was looking for,at the right price. Good prices , awesome parts , outstanding costumer service. Everyone is very professional and great to talk with when it comes to products and service. I've always bought from Raney's. Best selection and service I've had. The service and tech help has been great. I am very pleased with the quality of parts that I have purchased. You know you have to much chrome on your truck when your truck becomes prettier than your wife. Don't tell her I said that! I've ordered a few products from Raneys, so far I've had amazing service. I was actually ordering for my husband, who is not great on computers. The ordering process was a BREEZE, so easy. And I love having PayPal. Businesses that don't use PayPal seldom get my business. I am pleased to have found your company because you always have what I am looking for, and it is good quality. Thank You. Very easy website to navigate. Customer service when calling in was top notch. Site is very easy to navigate. Quality products. 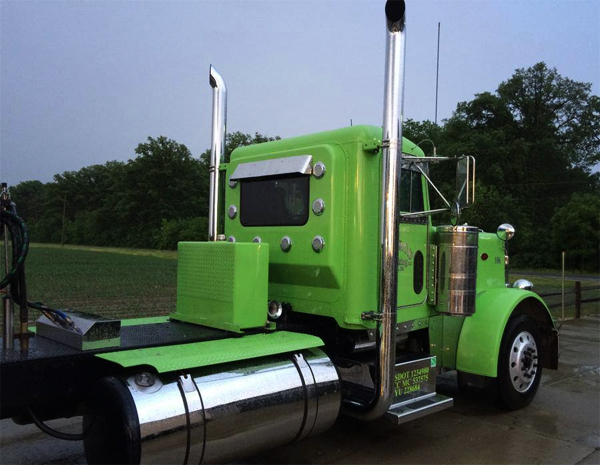 Although todays purchase is rather small, a few years ago we customized our 379 pete to include 8 inch pipes and they still look like new. I have friends who put pipes on after mine who payed more and they are rusting already. I have ordered from Raney's before. Customer service is outstanding. Candith went above and beyond to make sure everything was right. She's the reason I'm back. Thanks to you guys my truck looks great running down the road. 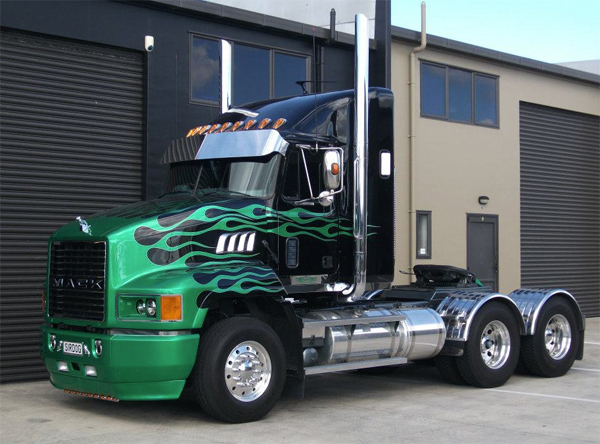 Great selection of products for each make and model of truck. Phone support is excellent, Thank you Robert! Easy to navigate website and great products with great deals. I've made several purchases and I've been well pleased each time. I'll continue to shop at Raneys. Great web site found everything I was looking for. Raney's is my only choice for top notch truck parts! Raney's really came through for us. We needed an new OEM Mack mirror for our dump truck - Raney's had it! Thank you. Great easy website even for smart phone users. It was easy. different pay options are available. I love the selection of items. I am very pleased with the service and product. It's nice to find a place with such a large selection of truck parts and accessories. This was my first time shopping at a Raney's and I was please with the knowledge of their customer service department as well as the quick processing and delivery of my order. I am very pleased with my mirror. It works great. I got help from a sales rep, and he made sure I was very satisfied with what I was trying to accomplish. Very friendly and helpful. I called to ask questions about the product I was interested in, the staff is extremely helpful and friendly. Excellent quality merchandise and great customer service. They have been very good to me in all orders! I always enjoy shopping here it is simple and fast. 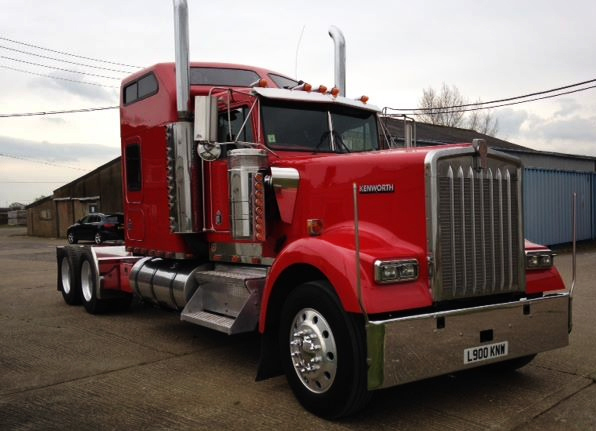 This is a very good site for all Truckers, Thank you. Easy Website Fast delivery Great experience Thank You Raneys. Just needed one thing and found it simply and quickly. Payment was made easily with several different methods available. Very professional and expeditious service. Thanks. I will continue to use Raneys. Always go to Raneys for chrome and lights for my truck. Raney's provides quality profucts at teasonable prices and provides prompt and courteous service. Terrific Selection and the prices are very competetive. Love the chat feature. I got all my questions answered. Very easy to shop here and very easy to check out, I'm very pleased. Great website. Ordered the part online was easy, talked to a service parts rep just to make sure the parts was the right fitment. Had an issue in needing the parts sooner than normal delivery. Called and checked on when my part was going to be shipped. Talked to Katie and she was able to ship my part out so I could have is overnight. The parts was going on a first line fire truck with no replacement until parts was received. Thanks to all that had helped in making this work. Easy to browse make model items etc. Huge variety of products, decent prices, fast shipping and impeccable customer service. 5 stars. Quick and easy to navigate the web site..not a bunch of hoops to jump through. Got in, found my item and got out ...that easy. This was a very easy shopping experience. 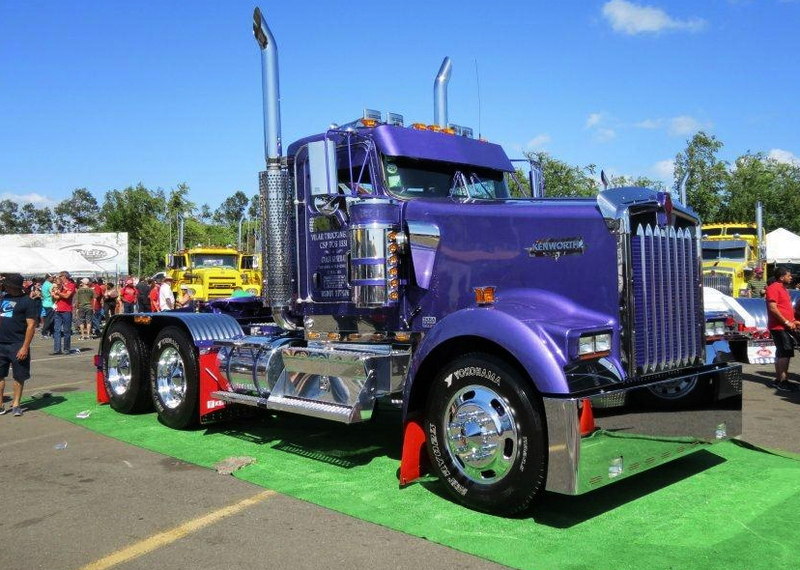 I will be ordering more products for my Pete 379 soon. Best prices by far of most major websites! great products also. Keeping my rig looking top notch!! A++ get what I order right the first time ever time will continue to shop here. 1. Quick to find the Exhaust products....2.Quick to find Muffler.....3. Check out with pay-pal That is less than 1 min. WOW!! Customer 4 Life! Get all of my lights and accessories from raneys. Great prices, quality products, quick shipping, and awesome customer service. Purchase from you a few times have been taken care of very pleased with how quick I get my products and the product have been high quality. Very pleased and will continue to do business with you guys for years to come!!! Very easy to navigate through the website, love the discount codes available! I've purchased products from you guys in the past. I always received my products in well package boxes, and your items are as described. 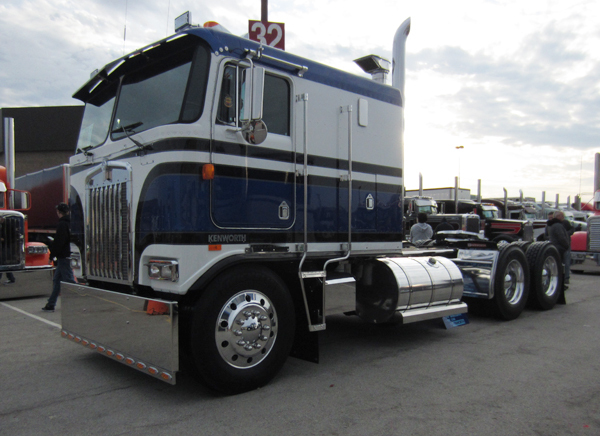 For a hard to buy for...TRUCKER...this site is amazing! Thank you for having the items my husband likes. I've purchased from this site before and it's always so easy. Had just what I needed, easy to find, quick checkout, no hassle, I'm happy. It was wonderful enjoy looking at all the stuff. And thanks for the wonderful service and the help from friendly people. Will be ordering stuff again. I had a hard time finding what I wanted on other websites. It was simple to find and order what I wanted here. Thank you. 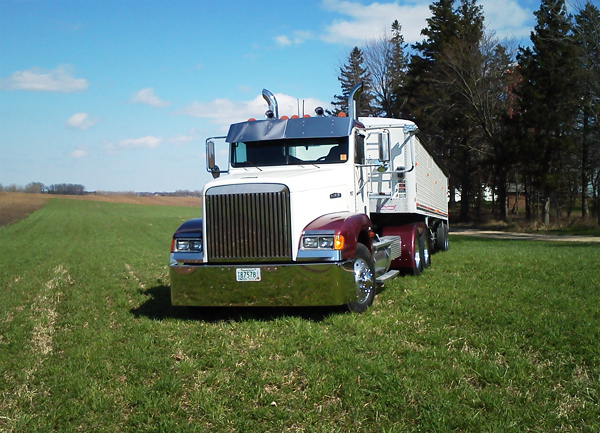 My husband loved the floor mats for his peterbuilt, they fit perfect, great service! They were delivered a few days after we put the order in, will definitly order from you again! Web site very well designed, easy to shop and find what I was looking for. Shipping time was very impressive and the product I purchased was top quality. Thanks guys!! Raney's Truck Parts always has some of the best deals, and me and my boss are always pleased with the quality of the parts. I was a little confused with web stuff but the Folks at Raney's got me straighted out just fine they answered my questions rapidly, and I found it kind of neat that they are so honest I will continue to look for things to get from them. Always fast and always easy. a pleasure to do business with! I ENJOYED my experience, the apparel is awesome, needed a quick gift for my trucker hubby and found it right away. Also, Will be back for more gifts! Easiest website interface I have had the pleasure to use. Everything was so easy to find! You will definitely be hearing from us again. I love dealing with Raneys, great customer service. All my experiences have been great. 5 STAR RATING..........As a Owner/Operator ordering parts several times a month, I was impressed with the ease of moving through your website to get to what I needed and placing my order within minutes. I did have to contact customer service about my delivery date and again I was impressed, customer service rep was professional, efficient and courteous. I will definitely be a returning customer. I got my items when it said I would it was in perfect condition and the steering wheel was even cooler than I expected. Loved it that's why im back again. I had a question on a gauge cover and called and talked to the staff, they were great! Answered my questions that I had, they even contacted the manufacture to make sure to get an accurate answer! Your site was very easy and checkout was simple. Just hope I get this withing the shipping times outlined - in time for Christmas. If so I'll certainly be back! UPDATE - got it in time for Christmas !! Thanks! I get almost all my chrome from here. Always fits, always right. Everything here is easily comprehensible and very understanding of what it is you are looking at. I have ordered parts here before for my custom build and have been very satisfied with most of the pricing and very happy with the quality so far. Experience was good and Raneys has all the parts I will need to chrome out my ride. Have bought many parts from Raney's over the last year, and they have gone above and beyond towards customers satisfaction and prompt replies to any questions I have had. Thanks to them me and our Pete are humming along just fine. Good always. I never have any problems buying semi truck items at Raney's. They been good to my many orders. It's never been disappointing I think ur prices are reasonable & it makes it to my door step so all is good. Thnx. Great prices. We are a non profit Museum restoring a B-29 Super fortress Bomber from WWII. Working on a donation basis, reasonable prices are a plus. Easy to use site. I love this place, it has everything I need!! I had an excellent shopping experience. When I needed customer service they responded promptly. I plan on doing business with them again. The products are A+ we searched high and low to find the final cut stainless steel/diamond plate buffer wheels as a all Volunteer Fire Department we take great pride in our apparatus not only for making a statement around town and to maintain our equipment but during parade season as well which is now in full swing we will absolutely be ordering more products if you have any input as to better products for the job please feel free to send it our way thank you very much! Received everything i ordered within reasonable time and am happy with the quality of merchandise ! Everything was as described, will definitely be ordering again, you now have a loyal customer for life ! The only place I could find what I was looking for. No issues placing or receiving my order. Great job,thank you very much. Raneys has great parts at great prices. And very friendly people to answer any question you may have. Prices MUCH lower than the chrome shops around the country...Selection is great.. 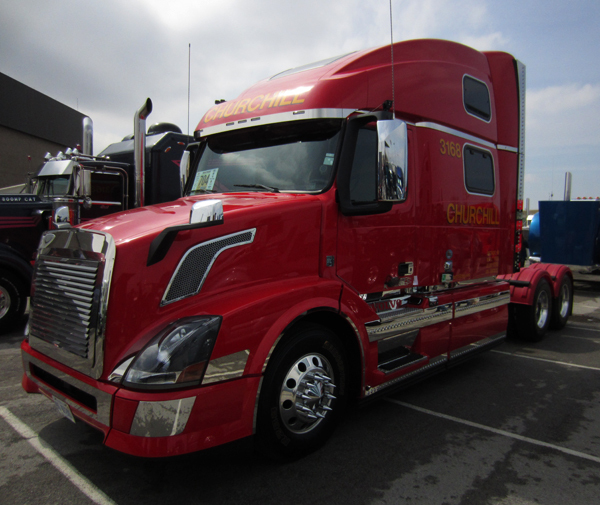 I drive a 2015 Kenworth 660 for Indian River in Winter Haven and work out of Clovis,N.M. I recently ordered stacks, heat shields, reducers, clamps and lugnut covers from your company. I do not ordinarily write reviews but I was so impressed with Zack and his skill in getting what I wanted, I am making an exception. EVERYTHING fit perfectly and it looks AWESOME. No reorders, no cutting, no modifications, nothing. I got in half the time he promised and had everything done in half a day. He thought it through and took the time to get it right the first time. He should be commended! I find 85% of the time I either waste my time or get so frustrated with people on quality work that it is more than refreshing to see someone who takes care of business. When truck is completed, (if that day ever comes, sheesh), I will send pics if you still want. Thanks again and JOB WELL DONE! Raneys is the best I buy all my chrome here for my big truck and my small truck, a GREAT bunch of people!!!! Bought an excellent grill from them, the finish and fit were exceptional! I like the way the web site is designed. It makes shopping simple and easy. Hands down best chrome shop in Southern U.S.
Great products, greater prices and greatest shine!!!! Taylor helped me find the correct visor for my 2013 International Prostar and was very patient with my slow computer. Thank you, y'all are terrific. Your customer rep Katie was most wonderful in helping solve my issue. I am down until the rack that I ordered comes in and that means I'm losing money. Katie professionally helped stop that issue. She is wonderful and you would be less without people like her. Haven't yet placed nor received my order but the website is easy to navigate and the customer service folks at Raney's could not have been nicer or more helpful over the phone. Great Job, Great price, great service! Experience has been great so far at truck show and website! Great products and super quick shipping! Love shopping for my 2014 Volvo at Raneys. Great seeing you at the KY truck show. Great place to buy parts good customer service will buy here again. Lots of chrome, fast shipping and great customer service. Raney's is a great place to get your chrome and accessories. They have a wide variety of anything you want for your rig. Joel and mark Raney have treated us very good for the past couple of years since we have known them back since the 2012 Mid-American truck show. This is a five start company all the way!